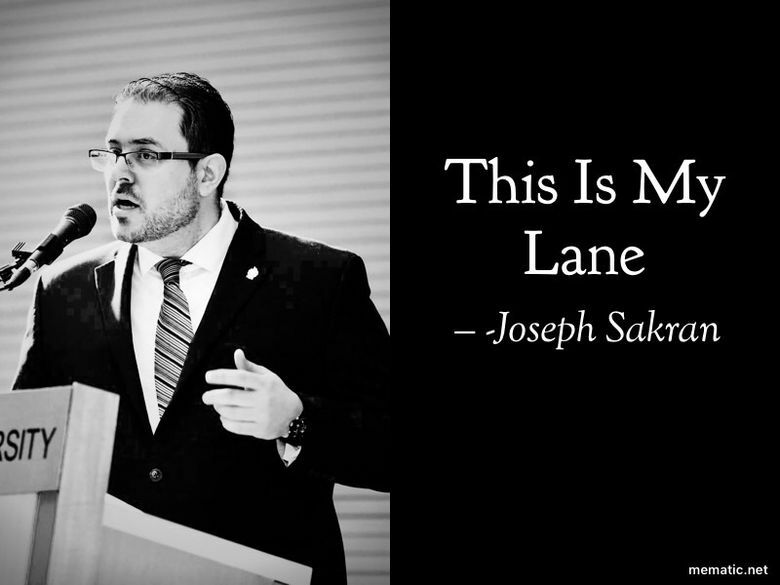 Dr. Joseph Sakran, a Johns Hopkins trauma surgeon, was the first to suggest other doctors change their Twitter profiles pictures to say “This is My Lane.” (Courtesy of Joseph Sakran, file). Dr. Joseph Sakran is an unofficial leader within the medical community's fight against gun violence, a movement that accelerated after the National Rifle Association told doctors to "stay in their lane" rather than "opine on firearm policy." It was a Friday night in 1994 in Fairfax, and Sakran was 17. The high school senior had started the night at a school football game and ended it nearly bleeding to death in the emergency room. The errant gunshot, fired into the crowd amid a fight between other teenagers, ruptured Sakran’s trachea, severed his carotid artery and paralyzed his vocal chord. But Sakran was one of the lucky ones. The trauma surgeons at Inova Fairfax Hospital saved his life — and his voice. And now it’s louder than ever. Dozens of doctors responded with both graphic and intimate stories of gun violence in their operating rooms, each with the Twitter hashtag #ThisIsOurLane, as The Washington Post’s Frances Stead Sellers previously reported. For Sakran it couldn’t ring truer. He launched the page ThisIsOurLane on Twitter Saturday, turning it into a window into doctors’ everyday experiences extracting bullets from bodies. In just a few days it racked up more than 10,000 followers. The network of doctors has mobilized around urging lawmakers to more robustly fund gun violence research in the same way Congress has funded research into other public health crises, such as motor vehicle fatalities or deadly diseases. Congress has not substantially funded gun violence research since 1996, when it passed the Dickey Amendment. The measure didn’t necessarily ban gun violence research, but restricted research supporting “gun control,” resulting in a chilling effect on funds for gun violence research more broadly. The amendment, backed by the NRA, came in response to concerns from gun rights groups that doctors would try to push anti-gun agendas — just as the NRA accused doctors of doing last week. The NRA lashed out at doctors last week after the American College of Physicians published a position paper that also called for greater research into the effectiveness of various gun restrictions and other risk factors for gun violence. It included support for universal background checks; counseling patients about safe, childproof storage of guns in the home; consideration of waiting periods before purchasing guns, to possibly reduce suicides; and, perhaps incensing the NRA the most, a ban on ownership of semi-automatic weapons. The #ThisIsOurLane responses from doctors invited the NRA into the hospitals, sharing photographs of blood on the floor, of blood on their scrubs, of the waiting room where surgeons must tell family members their loved one has died. The movement erupted the same night of the mass shooting in Thousand Oaks, Calif., and in the days that followed. But Sakran said part of the frustration for doctors is that the thousands of gunshot wound victims surgeons treat in their hospitals every year will never get the same attention. The ones who die in his operating room become “chilled into my memory,” he said. Often he is the one who tells the families in the waiting room, and sometimes his scrubs are bloody so he has to change them first. The families are sometimes inconsolable but other times, Sakran said, they want to tell him about the person they lost. “Sometimes I think about what my own family must have felt when the surgeon walked out to talk to them,” he said.